Triumph Street Scrambler price in Chennai starts from Rs. 8.55 lakh (Ex-showroom). Street Scrambler is available in only 1 variant. Share your experiences with Street Scrambler? Q. Does the exhaust pipe get hot during long riding in Indian city traffic or on a hot summer day when temperatures surge up to 45C? Q. How much is the maintaince, monthly/yearly for a frequent rider? For this information, we suggest you talk to your nearest dealership they were the best person to help to better in this case. New Dealership:- https://www.zigwheels.com/bikes/dealers/Triumph . Q. Is this bike suitable for a person with a height of 5’6ft? Yes, this British motorcycle is comfortable for you to ride. But to know more about this we suggest you take a test ride of the vehicle and then decide. Q. How is the performance in Indian weather conditions, Can it be used as a daily commuter in city traffic, especially during Indian summers and also can a pillion sit comfortably without getting burnt? Q. 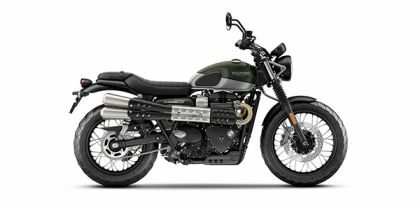 Does Triumph Street Scrambler can be used for long distances and touring purpose?